This book deals with the subject of great relevance in the current scenario of education in the global context. This book brings out the ideas, experiences and researches of the distinguished experts, educationalist and researchers. Actually Education is an essential human right from which nobody can be excluded. But the concept of Education for all does not imply the concept of inclusion. This requires an in-depth transformation of the education systems. The key element of inclusion is not individualization but the diversification of the educational provisions and the personalization of common learning experiences in order to achieve the highest degree of participation of all students, taking into account their individual needs. This implies advancing towards universal design. The education system as a whole is responsible for responding to diversity which means that it is necessary to shift from homogenous approaches, where all are offered the same, to education models that consider the diversity of needs, abilities and identities so that education can be pertinent for all people and not only for specific groups of society. To achieve pertinence, the educational provision, the curriculum and the teaching-learning process have to be flexible so that they can be adapted to the needs and characteristics of all students and the diverse contexts in which they develop and learn. 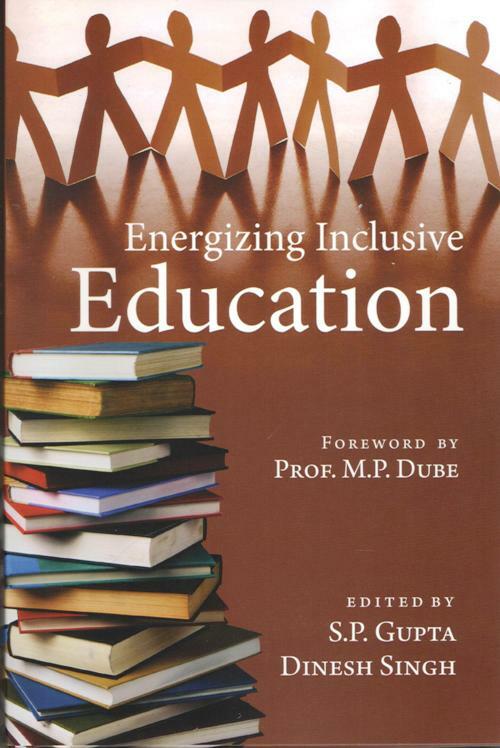 The present book is based on the papers of the National Seminar on `Energizing Inclusive Education through ODL` which was organized by the School of Education of the U P Rajarshi Tandon Open University, Allahabad under the guidance of Prof. M P Dube, Vice-Chancellor of the university on 28-29 March, 2015. The research papers are categorized into four sections (i) Concept, Theories and Policy Practices in Inclusive Education, (ii) Professional Development and Learning Resources in Inclusive Education, (iii) Issues, Challenges and Strategies of Inclusive Education, and (iv) School Reforms and Parental Training for Inclusive Education. These papers reflect current scenario, innovations, major school reforms, need and strategies for inclusive education. This book will be useful especially to the special educationalist, teacher educators, researchers, experts and policy makers of the country. Professor S. P. Gupta is the senior most Faculty Member in the U P Rajarshi Tandon Open University, Allahabad and has the credit of working in the field of Open and Distance Education for more then last twenty years. At present Prof S P Gupta is working as Director, School of Education in U P Rajarshi Tandon Open University, Allahabad. Prior to this, he has worked as Director, ICC&CE, Allahabad University, Allahabad as well as Reader and Lecturer in Education, Allahabad University, Allahabad. He has wide experience of teaching and research in the field of education and special education both. 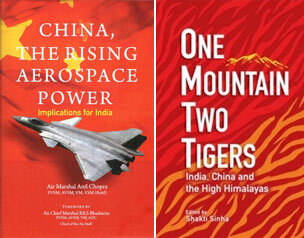 He has written more than fifty books and more than hundred papers and has received awards on four books. He is recipient of `Madan Mohan Malviya Award` of U P Government, `Education Award` of Government of India and `Viklang Jan Swabhiman Samman`. He is founder editor of "AYRE Journal of Education" and of "APEAR Journal of Education". He has also worked as Member of various academic and administrative bodies of various universities. At present he is member of Board of Management of M P Bhoj Open University, Bhopal. Dr Dinesh Singh is Assistant Director/Assistant Professor in the School of Education, U P Rajarshi Tandon Open University, Allahabad. He did his M Ed degree from University of Allahabad and Ph D degree from Bundelkhand University, Jhansi. He has wide experience of teaching and research in the field of education and teacher education both. His areas of interest are Psychology of Education, Educational Measurement and Educational Research. 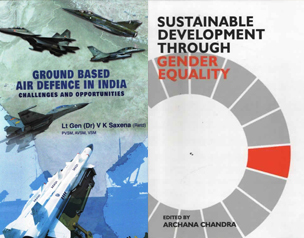 Dr Singh has published several Research Papers in reputed journals and books. He has organized several seminars, workshops and symposium. He has also participated and presented research papers in more than fifty international and national seminars, conferences and workshops. He was a member of editorial board of the book entitled Amelioration in Distance Education. He is also member of editorial board of APEAR Journal of Education. Dr Singh is Life member of various academic associations like IATE, ERA, APEAR etc. He is a founder president of K P Shiksha avam Samajik Samiti and Gyan Singh Shiksha avam Samajik Samiti. He was member of academic council of U P Rajarshi Tandon Open University, Allahabad. He has also worked in various academic and administrative bodies of various Universities and Institutions in different capacities.